Project Details Graphic design project, Unexpected Faces: Unexpected Places campaign was conceived to shed light on the homeless situation in Tampa, increase donations, and raise public awareness. Collateral included ads, billboards, website, and guerrilla marketing including pop-up art installations around Tampa. 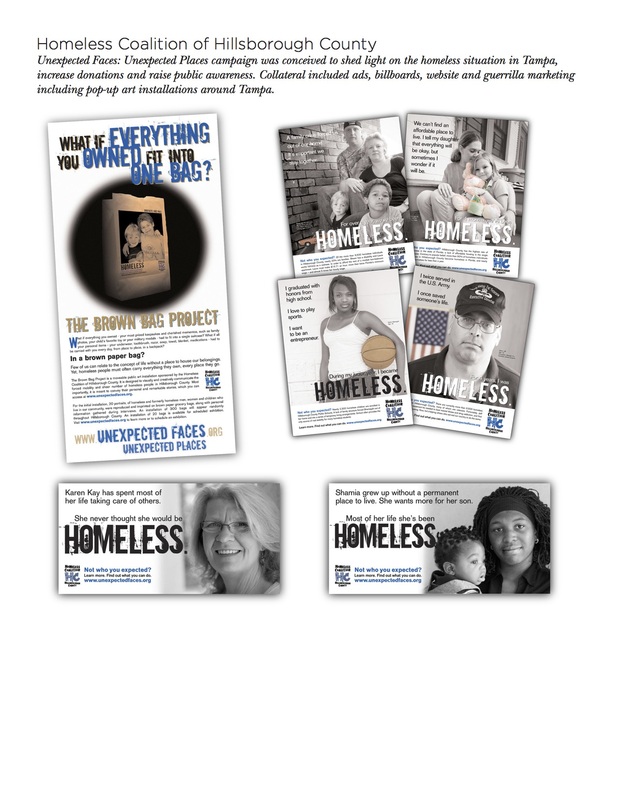 Unexpected Faces: Unexpected Places campaign was conceived to shed light on the homeless situation in Tampa, increase donations, and raise public awareness. Collateral included ads, billboards, website, and guerrilla marketing including pop-up art installations around Tampa.